“I have always loved you,” says the Lord” (Malachi 1:2, NLT). Malachi wrote to the Jewish exiles that had resettled in Judah probably sometime during the reign of King Darius of Persia (521-486 BC). Malachi begins his oracle by conveying the simple truth that God has always loved Israel. Malachi’s portrayal of the love relationship between God and Israel has covenant implications. God’s love may be identified with God’s choice of Israel as His people. God chose Israel to be His people; consequently, God loved them. So God loves His chosen people and wants to enter into a love relationship (covenant) with them. As I put my little girl to bed one night, we sang the familiar children’s song–“Jesus loves me, this I know, for the Bible tells me so”–and I personalized it with her name. 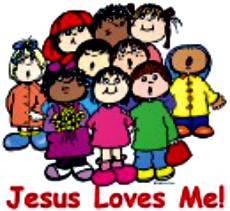 This particular night as we sang the song, it seemed that the Holy Spirit impressed upon me the reality of the words of this simple children’s song–that God’s love for me and my family is the basis for our present and eternal existence–an everlasting covenant of love. It’s what gives all this meaning! I had never realized the song made such a profound theological statement! In fact, in less than ten words both Malachi and the chorus of this song say everything I try to say in a year of Bible meditations: “Yes, Jesus loves me, the Bible tells me so.” That’s the message I try to relate through hundreds of blog posts as I work my way through a version of the Bible each year. Yet, no post I write can express the simple truth of the reality of God’s love with such clarity (and so succinctly) as do the words to this song or Malachi’s opening declaration. But, I take consolation in the fact that though the message is simple and true because the Bible declares it, it’s the “this I know” part that seems to take a lifetime to apprehend. Yes, Jesus loves me. Yes, the Bible tells me so. Yet, do I believe this? And how does this belief impact my life? So, I must repeatedly reinforce this message of God’s supreme and absolute love for me, my family, and all His people through daily Bible study and prayer to fully know and experience its reality. This entry was posted in covenant, election, God's love, love and tagged Bible, covenant, God's love, love. Bookmark the permalink.